Evans Ray knew he’d made a horrible mistake when he was caught distributing some 60 grams of crack cocaine. He also didn’t believe that the punishment should have been life in prison. But two prior low-level drug convictions ensured that in 2004, Ray would get the max with no possibility of parole. Even the judge called the thought of sentencing Ray to life “cruel and unusual,” and attempted to give him 324 months. However, at the end of the day, the judge’s hands were tied because of the mandatory-minimum law. What Evans Ray didn’t know was that much like the judge, President Barack Obama also thought his sentence was unfair. One of Obama’s biggest legacies that cannot be undone is his robust use of his clemency power. During his eight years in office, Obama commuted the prison sentences of some 1,715 people, more than any other president in history. He was insistent on correcting what he considered the systemic injustices of mandatory minimums—the lengthy sentences imposed on small-time, first-time and/or nonviolent drug offenders—and ultimately changed the lives of many suffering Americans who were given “death sentences” for little more than having drugs on their person. One of the lives that Obama irrevocably changed was Ray’s. Ray spent more than 12 years behind bars for his offense before receiving clemency from Obama in August 2016. Price explains, “So you may have somebody who is responsible for all those drugs and directing everybody else in all those drugs, being subjected to the very same sentence that the ‘underling,’ low-level person who has very little relationship to those drugs except to carry them across the border, for example, and get a few bucks in exchange. As the Obama administration started to throw around its weight in the clemency arena, Ray saw a sliver of hope. Gathering all his resources, he applied for clemency, noting that he met all the criteria for being considered. He reached out to District Judge Alexander Williams Jr., who had once attempted to refuse to impose the life sentence, to write a letter to Obama on his behalf. 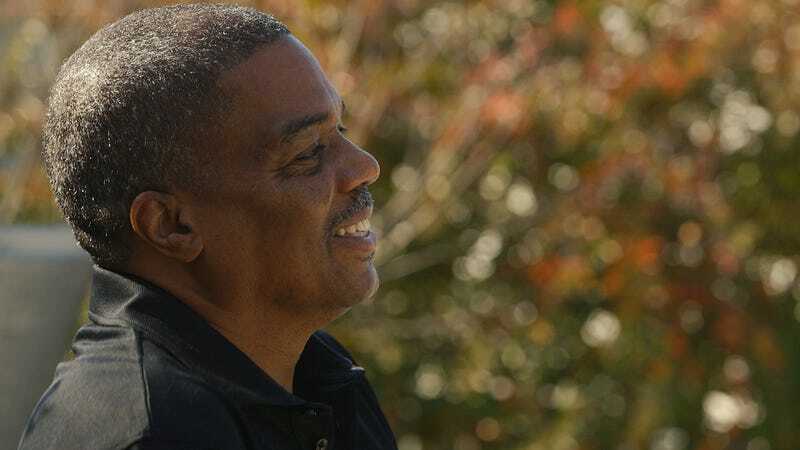 It was amazing enough that Obama reached out to him, but Ray’s surprise doubled when in less than a month, he received another letter from the president, personally reaching out to tell Ray that he was granting his application for commutation. Fast-forward to today and Evans Ray is now a free man. He was able to spend Halloween with his kids and other family members, taking his grandchild trick-or-treating. But his mind is still with the people who are left on the inside serving unjustly long sentences. He hopes to start a nonprofit for re-entry, working with other individuals who have gotten clemency. For now he’s working for Community Empowerment Leadership Community, which provides job training and other services for inner-city Washington, D.C., youths, along with mentoring. And he’s looking forward to an overall sweeping change in the law that doesn’t just depend on the clemency power of the president, even if future holders of the office happen to be as generous as Obama. “Congress needs to take this mandatory-minimum law and give the judges more access to making a decision about an individual,” he says. “Let the judges make the decision. They wouldn’t have gotten [their seats] if they were making bad decisions.